Easton Garden Club’s April meeting. The Easton Garden Club invites the public to attend a free program, “Weather and Gardening” featuring David Epstein, meteorologist & horticulturalist. 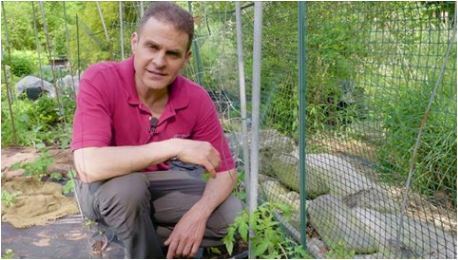 David Epstein has been a professional meteorologist and horticulturalist for three decades. He spent sixteen years on-air at WCVB in Boston and currently is a meteorology professor at Framingham State University and Colby College. Dave’s weather, climate and gardening content can be seen/heard/read regularly on the following media outlets: boston.com, Portland Press Herald, WBUR Boston, WBZ-TV, WGME CBS 13 Portland, and at www.growingwisdom.com. The Easton Garden Club meets the second Thursday of most months (no meeting July, August, and December) at 6:30 pm at the CCC at 204 Center Street, North Easton. 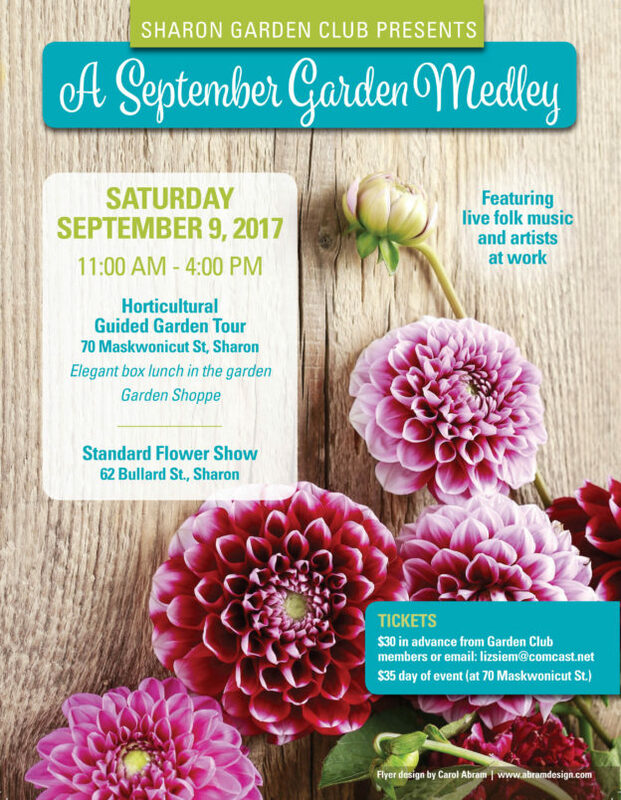 Members participate in workshops with natural plant material, listen to speakers on a variety of horticultural topics, and see demonstrations by professional designers and provide community service. New members are always welcome. Please visit www.eastongardenclub.org for more information. This entry was posted in Community Service, Easton Garden Club, Garden events, Garden Seasons, Weather and tagged David Epstein, Easton Garden Club, gardening, weather on April 8, 2019 by admin. 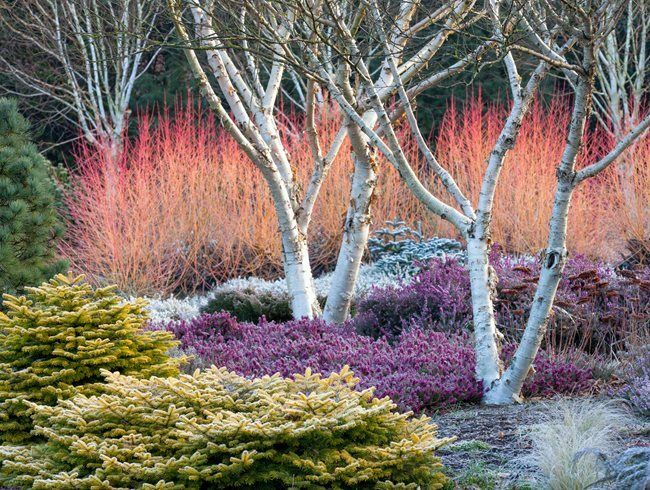 Border at The Winter Garden, Bressingham Gardens, Norfolk, UK. How to design your landscape for winter interest? Here are a few concepts and suggestions. A professional designer can select the best plant materials for your site and especially, your lifestyle. 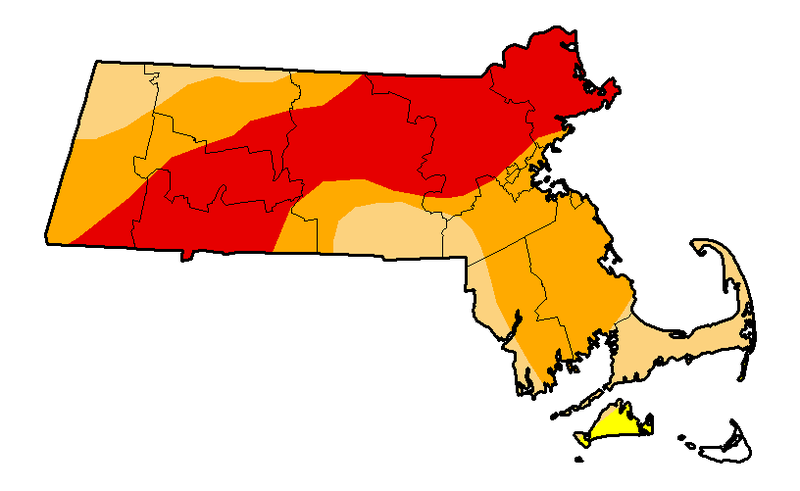 as always, make sure all your plant selections will thrive in the existing cultural conditions of your particular planting area (sun, soil, water, wind, drainage, etc.). 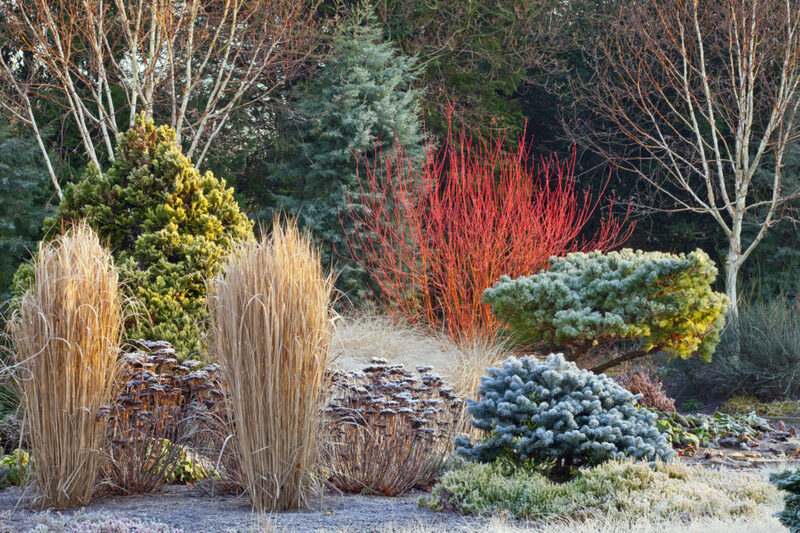 Designed for color and contrast, Bressingham Gardens pop with vibrancy in winter. 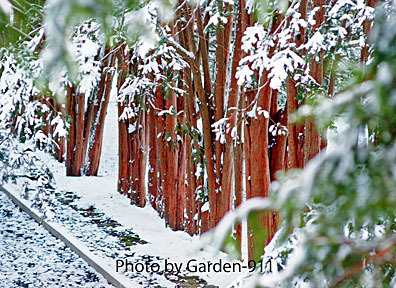 This entry was posted in Design, Garden Seasons, Landscape Trees, Native Plants, Pollinators, Shrubs, Trees, Winter garden and tagged garden design, landscape, Native plants, pollinators, winter on January 29, 2018 by admin. Here’s my favorite view of a secluded gallery of mature Taxus trees on The Trustees of Reservations’ Governor Oliver Ames Estate in North Easton, MA. The 36-acre property features rolling hills, meadows, ponds, and a robust horticulture collection. The Ames familys industrial and cultural contributions have helped shape the history of Easton, as well as the nation, since the early 19th century. This entry was posted in Garden Seasons, Horticulture, Landscape Trees, North Easton, Trees and tagged Easton, Governor Oliver Ames, history, horticulture, Taxus, Trustees of Reservations, winter on December 23, 2017 by admin. Summer has past and sunflowers thrive in early fall at Easton’s Langwater Farm. 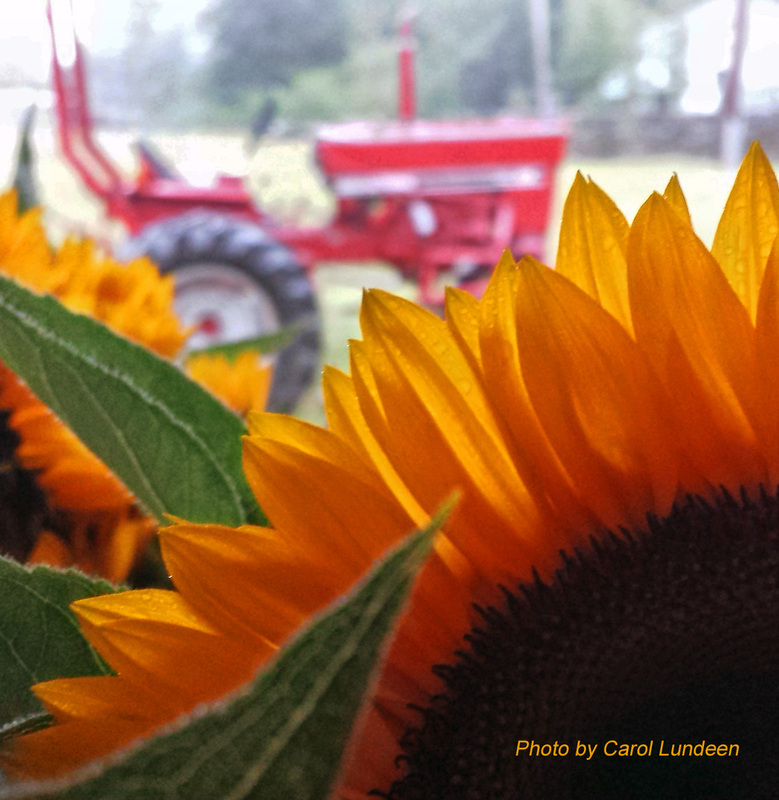 Not only are sunflowers a top farm stand seller, they’re also a top pollinator host plant and provide food for our native insects, birds and mammals. Look closely and you’ll see raindrops on the sunflower petals. Langwater Farm is always a colorful spot, even on a cloudy rainy day. This entry was posted in Garden Seasons, Pollinators and tagged cultivator, fall, Langwater Farm, pollinators, September, sunflowers on September 30, 2017 by admin. Day’s final rays of sun glint onto apothecary roses at the Sharon, MA home of an organic gardening client. I love to garden until after sunset and well into dusk. That magic hour of dusky sky and light turns flowers and bugs and leaves and all things natural into a magnet for me. Like the way snow changes the way everything looks, the fast fading sky changes each bud and leaf and petal, minute by minute. And the biting bugs? I make sure I’m their least appealing option so I can stay out in the night’s coming as late as I can…and I can already detect day lengths shortening even as the days become warmer. 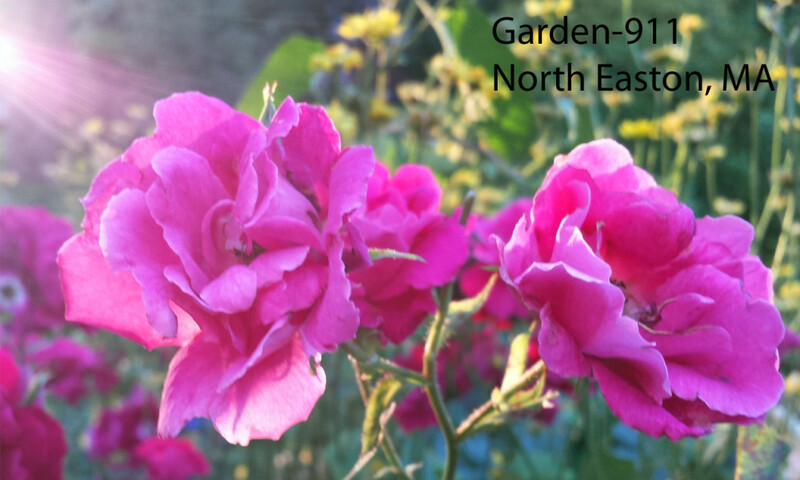 This entry was posted in Fine Organic Gardening, Garden Seasons, Sharon MA and tagged rose garden, Sharon, sunset on June 26, 2017 by admin. Winter bud inset in a leaf scar of Rhus typhina, staghorn sumac in Sharon, MA. It looks like the face of a lion, which is how I remembered it for my RI Certified Horticulturist exam. [Photo Copyright 2017 Carol Lundeen]. Miss Twiggy. That’s what my wife has been calling me lately. Our dining room table has practically been crawling with the winter twigs of trees, shrubs, and vines: messy, shedding, needle-dropping deciduous and evergreen winter twigs. I’ve been studying them for six weeks for my RI Certified Horticulturist exam. Why? I’m a nature girl, and I love looking at things up close. 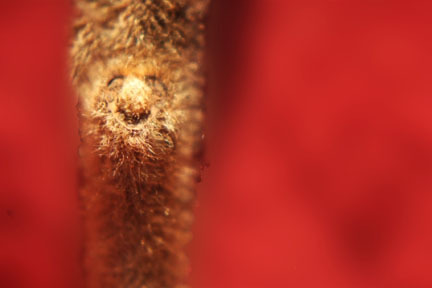 Did you have any idea that a winter twig could be so adorable as the one shown above? Me neither. Until Dr. Susan Gordon taught me how to notice and appreciate the diversity of these things. I want to get so I can tell the winter twig of a glossy false buckthorn from a black cherry as easily as a dalmation from a beagle. I aced both the written and ID portions of my exam Monday night. I’m certifiably certified, so happy there’s so much more to learn, so thankful to everyone who’s helped me, and I can’t wait for the new gardening season! 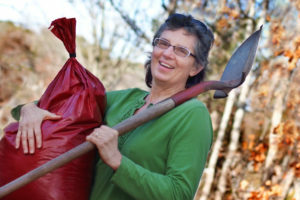 This entry was posted in Garden Seasons, Horticulture, Native Plants, Sharon MA and tagged gardener, horticulturist, landscaping certifications, Sharon MA on February 11, 2017 by admin. 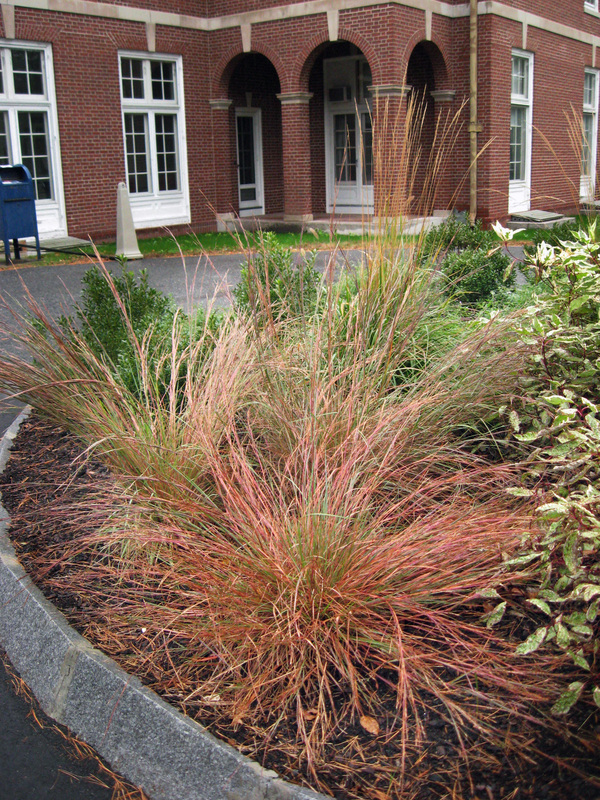 Little bluestem is a native plant I featured in the design at the Easton Town Offices flagpole island bed, created in conjunction with the Easton Garden Club’s Landscape Design Challenge. The bluestems’ red colorization increases with the cooling days of autumn, and it holds its horticultural interest until spring, all wild and tangled in the wind and weather. This entry was posted in Community Service, Easton Garden Club, Garden Seasons, Landscape Design Challenge, Native Plants on October 28, 2016 by admin.